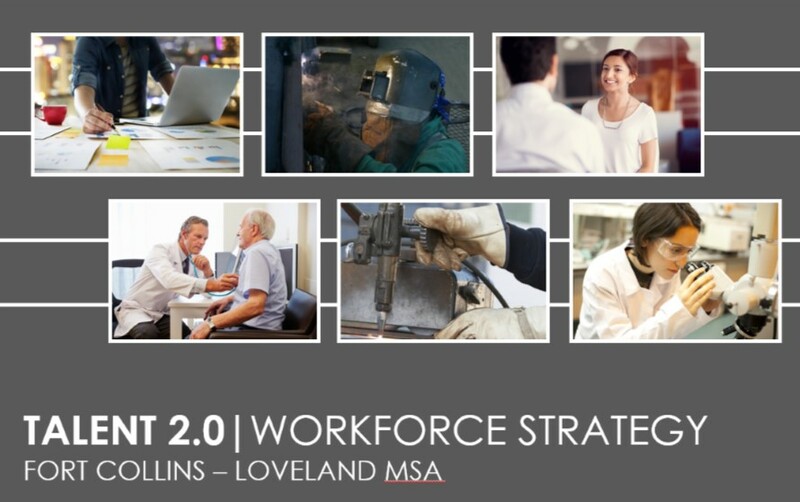 Last month, the Fort Collins Chamber of Commerce, several workforce centers, and key educational institutions across the state held a meeting called ‘Talent 2.0’. The purpose of the meeting was to discuss the findings of a Talent 2.0 report provided by the Fort Collins Chamber and many key partners. 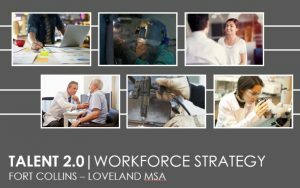 From the meeting a Talent 2.0 regional workforce strategy was created, along with several action items to help close the skills gap in Northern Colorado. Digital Workshop Center has played a vital role in the past 11 years of local workforce growth through providing high-demand skills in the areas of web design, graphic design, digital marketing, business administration and more. Leaving this report, DWC staff was invigorated by the commitment of local organizations towards improving local the local talent pool and overall workforce as well. In other words, the unemployment rate in Northern Colorado is lower than the US average and one of the lowest in the country. Currently, unemployment as of Jan 2017 is listed at under 3% according to the US Bureau of Labor and Statistics. Of the jobs available, there are not enough skilled workers who are matching with the jobs available. It’s imperative that anyone unemployed or underemployed looking for a career change obtains the necessary skills to match the jobs available. However, other key areas are also in demand. 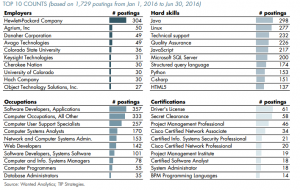 Java, Linux, Technical Support, and Python were all highly recruited for according to the study of job postings. According to the report, the median income for local I.T. jobs was listed at $79,150, which is below the national average of $109,200. However, if you factor in a lower cost of living in Fort Collins-Loveland, than in many other tech-centric areas, the lower salary does compare appropriately. Digital Workshop Center is excited to be a part of such a thriving workforce community and actively working as an implementation partner to help the driving forces behind Talent 2.0 to see these goals achieved. 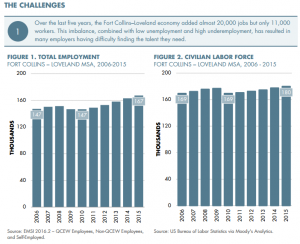 For more information on the Talent 2.0 report, visit the online PDF provided by the Fort Collins Chamber. If you have any questions about Digital Workshop Center classes or certificate programs to help you get back to work, fill out the following form and we will contact you shortly. Fill out the form below to request more information about What we learned from the Talent 2.0 report or to request information on customized individual or group training sessions.